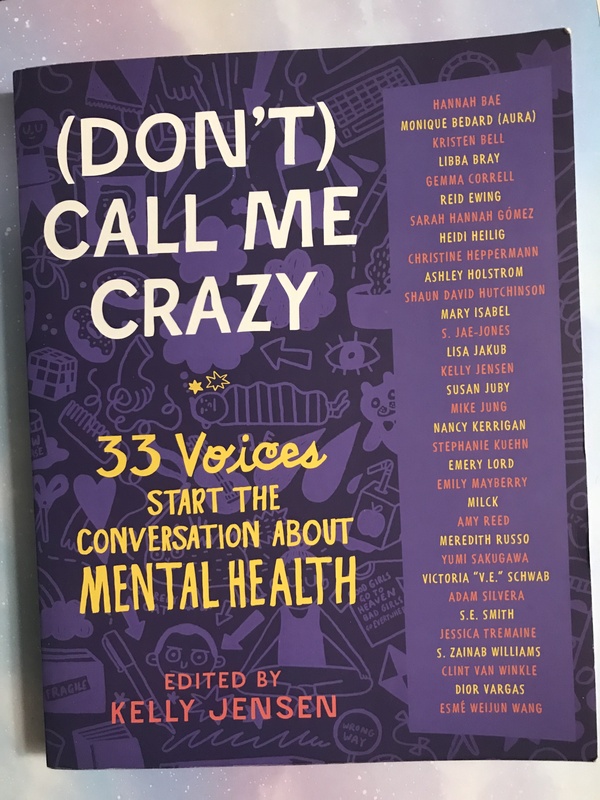 (Don’t) Call Me Crazy is a compilation of 33 essays on mental health topics.Authors take part in discussions around the word “crazy,” the ways our minds and bodies interact, going beyond just stressed and sad, and being okay. It’s an incredible read, and I’m glad I took my time with it. I think everyone should read this. I also think that while everyone is reading this, they need to take breaks. Some of the topics in here are difficult to read through, and some points are triggering. These authors are getting into the down and dirty of diseases; some even discus their lowest points. That can be beyond difficult to read, and I definitely struggled with it. But overall, I think it’s more than worth the read. I recommended this to my therapist, my mum, and everyone I know who has struggled with a mental illness. I think one of the most powerful things that can be done when you’re struggling, is to realize that you aren’t alone. This book truly exemplifies that; here are 33 people who have experienced something similar to what others are feeling right now. And they came out triumphant. All in all, I loved this book. I loved picking it up at different points, reading a couple essays, and setting it down. I loved feeling as though these authors were baring themselves to me, trusting me with their struggles. I genuinely adored the time I spent with this book. If you’re looking to pick up a copy, you can grab one at Barnes and Noble, Amazon, and just about anywhere else books are sold. Below is a list of the folks who made this book happen, with their websites. I highly recommend checking out their other work! Happy reading, and take care of yourselves, friends!